By Laura. Posted September 7, 2011 at 11:48 pm. 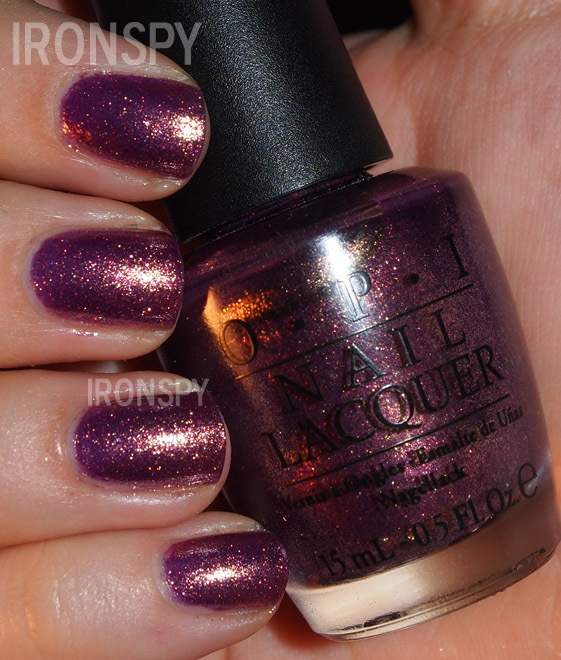 Quick post, a polish from the OPI Miss Universe collection. It’s my year is a pinky purple with heavy gold fleck glitter. It has a foil finish. It’s the purple fraternal sister to OPI Rally Pretty Pink. These pics were taken at night and as such are taken with flash, which really brings out the base color. In natural light, you get much more of the gold foil finish showing through. This is 3 coats with 1 coat of SV.